A few weeks back my fabulous and incredibly generous Israeli friend, Francesca, sent me a copy of Sweet Secrets by Carine Goren. Carine Goren is Israel’s best known pastry chef. According to my friend her book Sweet Secrets and accompanying television show of the same name were massive hits. So much so that Carine is often called the Baking Guru of Israel, and the Hebrew version of her book was on the bestseller list for a humongous 150 weeks. Flitting through this book it isn’t hard to see why. 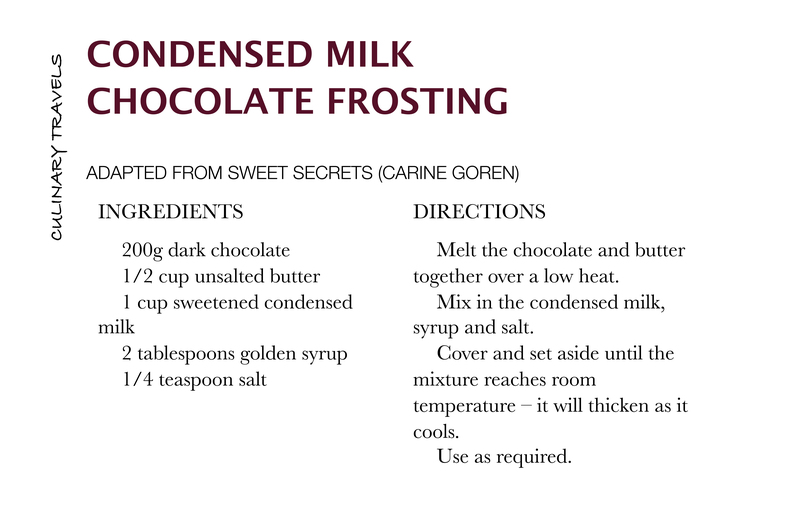 Carine’s recipes shine with warm personality and each is accompanied by a “sweet secret” that reveals a professional tip or trick that will make baking like a pro that little bit more achievable to the home cook. Picking the first recipe to try was a hard job. I want to try them all, work my way through it from cover to cover. I went for the Five-Minute Coffee Cake, well, more to the point I went for an adapted version of it. I took the basic recipe and added my own flavours and flair. How could a “five minute” cake not appeal? Some days you need cake and you need cake ultra fast – this could be that perfect cake. This simple cake is made with cream instead of butter, lending it an exceptionally soft and luscious texture. Using cream also has the additional benefit of meaning that the batter is ultra easy to make by hand, negating the use for a food mixer or processor and thus making the washing up quick and easy too. 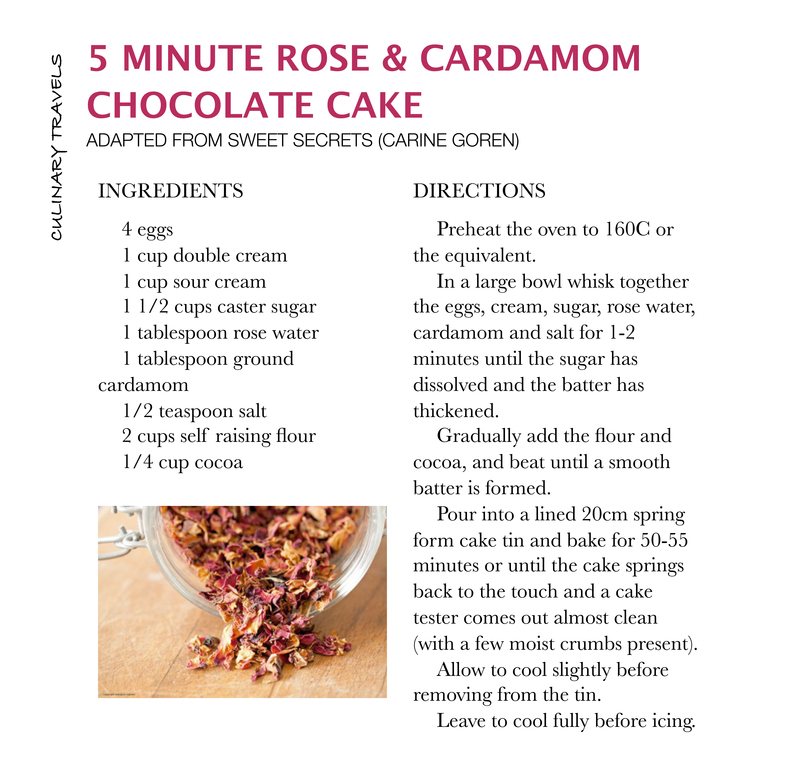 I added some fabulous Valrhona cocoa, rose water and cardamom to the mix. I topped the cake with the most moreish chocolate frosting ever. The secret? Condensed milk! Yes, really, condensed milk. Amber nectar, stuff of the Gods, that I could all too easily, if not rather guiltily spoon directly from tin to mouth. Resist that urge and make this super silky, velvety rich, frosting! The finishing touch? A dusting of Max Brenner rose scented white chocolate powder, another gift from the lovely Francesca.